Low socioeconomic status (SES) and geographic disparity have been associated with worse outcomes and poorer access to pre-emptive transplantation in the adult end-stage kidney disease (ESKD) population, but little is known about their impact in children with ESKD. The aim of our study was to determine whether access to pre-emptive transplantation and transplant outcomes differ according to SES and geographic remoteness in Australia. Using data from the Australia and New Zealand Dialysis and Transplant Registry (1993–2012), we compared access to pre-emptive transplantation, the risk of acute rejection and graft failure, based on SES and geographic remoteness among Australian children with ESKD (≤18 years), using adjusted logistic and Cox proportional hazard modelling. Of the 768 children who commenced renal replacement therapy, 389 (50.5 %) received living donor kidney transplants and 28.5 % of these (111/389) were pre-emptive. There was no significant association between SES quintiles and access to pre-emptive transplantation, acute rejection or allograft failure. Children residing in regional or remote areas were 35 % less likely to receive a pre-emptive transplant compared to those living in major cities [adjusted odds ratio (OR) 0.65, 95 % confidence interval (CI) 0.45–1.0]. There was no significant association between geographic disparity and acute rejection (adjusted OR 1.03, 95 % CI 0.68–1.57) or graft loss (adjusted hazard ratio 1.05, 95 % CI 0.74–1.41). 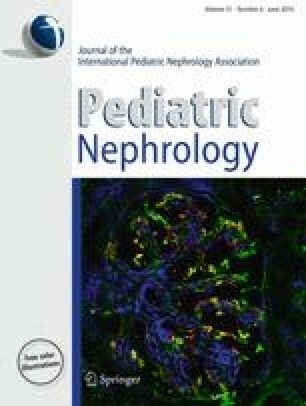 In Australia, children from regional or remote regions are much less likely to receive pre-emptive kidney transplantation. Strategies such as improved access to nephrology services through expanding the scope of outreach clinics, and support for regional paediatricians to promote early referral may ameliorate this inequity. The online version of this article (doi: 10.1007/s00467-015-3279-z) contains supplementary material, which is available to authorized users.